We spoke up along with dozens of Access-A-Ride users at a Metropolitan Transit Authority hearing yesterday to oppose an unfair planned hike on fares for Access-A-Ride users. 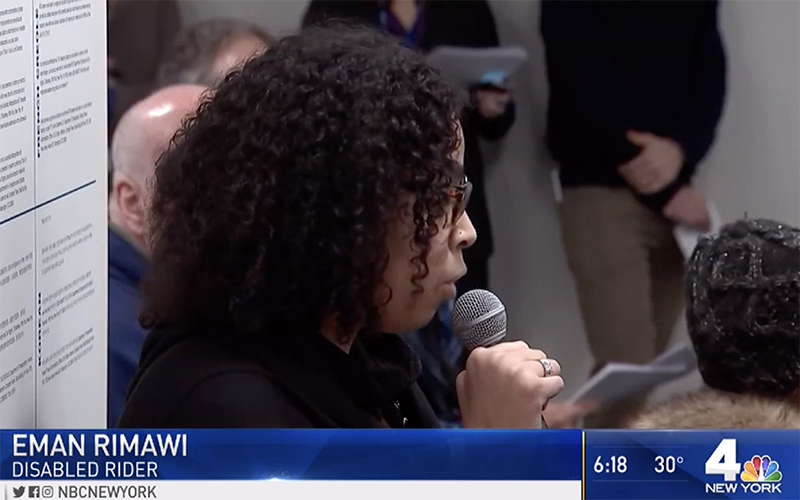 NYLPI’s Director of Disability Justice Ruth Lowenkron and Access-A-Ride Campaign Coordinator and Organizer Eman Rimawi gave testimony at the hearing, having written to the MTA last November, alongside other organizations, to oppose the hike. Eman’s testimony was featured on an NBC story about the fare hike. The MTA is expected to vote later this week on a plan to raise fares for transit riders, and one of the proposals on the table would increase the base fare to $3 per ride—a hike that would disproportionately burden Access-a-Ride users, who are forced to pay cash for their trips, riders and advocates argued Tuesday. 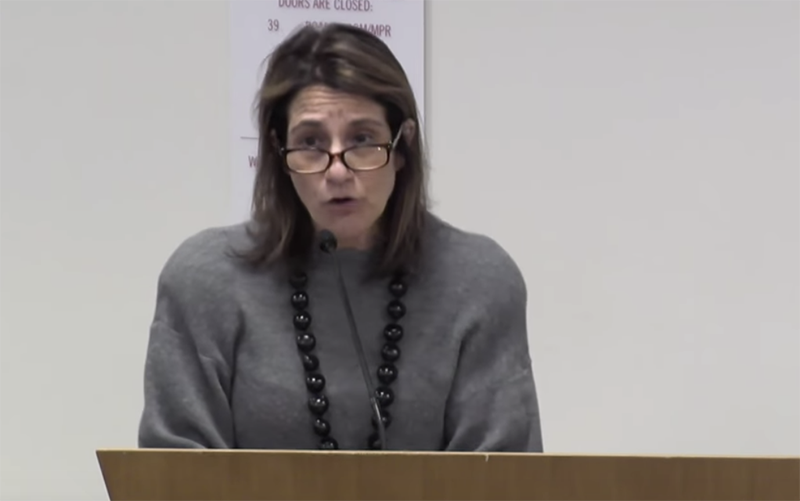 “All of those discounts that should be available to everybody are not available to people with disabilities who are AAR users,” said Ruth Lowenkron, director of disability justice at New York Lawyers for the Public Interest, one of several people who testified about the issue before MTA board members at their transit committee meeting Tuesday. At the board meeting on Tuesday, riders made heartfelt pleas against a fare increase. Valerie Joseph, who relies on the Access-A-Ride paratransit service, said she had limited income and could not afford higher fares. You can read more about our Access-A-Ride Reform Group campaign here. NYLPI Organizers Quoted on Transportation Access Issues in Metro NY NYLPI spoke about the accessibility crisis in the transit system, and the urgent need to find new funding.